United Percussion 2 Staff — United Percussion and Arts, Inc. If you're interested in more information (i.e. auditions, etc.) about the 2019 A Class Ensemble, please join our Facebook interest group here. Jon Kline is an active designer, arranger, and educator in the Philadelphia area. His music career began in elementary school learning how to play general percussion and also taking drum-set lessons from his father. Later, he studied drum set under private instructor Gene Lazowicki. His marching career started at Souderton High School where he discovered his love for performing. While in High School, Jon started marching bass drum with the Lehigh Valley Knights Drum and Bugle Corps. He was a member of the bassline in 2003 and 2004. In 2005, Jon was a member of the Jersey Surf Drum and Bugle Corps playing in their bassline. The following winter, Jon joined United Percussion for the 2006 season playing bass drum. He continued on to be a member of the bassline for the 2008 and 2009 seasons. Jon’s teaching experience includes various high schools in the region, most recently serving as the bass tech, music/visual designer, and Assistant Drumline director of Perkiomen Valley High School from 2009 to present. Jon is also a very proud member of the Vic Firth Education team. Jon has an Associates Degree in Education and also a B.S. in Organizational Leadership from Philadelphia University. He is currently working as an Accountant at a local corporation. Jon currently lives in Harleysville, PA where he spends his free time with his wife, Denna and their new son Jonathan Jr.
Chuck is excited to join the 2018 United Percussion and Arts, Inc. team. Chuck began his marching career in 1972 as a Tenor Drummer in Black Watch Drum and Bugle Corps from Willingboro, NJ. During his performing years at Black Watch, he was instrumental in the success of the corps winning several championships culminating in the DCI Class A championships in 1979. In 1981, Chuck moved into an instructional role with Black Watch until the corps folded in the spring of 1985. In May of 1985, Chuck joined the snare line of the Sunrisers Sr. Drum and Bugle Corps and marched as section leader from 1986 thru 1990, winning DCA World Championships in 1987 and 1988. Chuck’s teaching and writing career began with Black Watch in 1981. He has worked with several of South Jersey’s finest high school programs including Pennsauken HS, Willingboro HS, Gloucester City HS, Eastern Regional HS and Cherokee HS, where he held roles from Battery Tech to Percussion Caption Head. Chuck lives in Marlton, NJ with his wife Sue and sons Jarad and Jordan. Chuck works as a Network Administrator for the Philadelphia branch of a multi-office Accounting Firm. Along with his love for marching percussion, Chuck spent several years volunteering as a Youth Bowling Coach for the Big Event (Playdrome Cherry Hill) Travel Teams. Brad was involved with United Percussion in 2004, 2017 and 2018. 2019 will be Brad’s fourth year with United Percussion and Arts, Inc.
Kirby is a percussion educator and arranger in New Jersey. He started his marching career at Phillipsburg High School in Phillipsburg, New Jersey. He then went on to march quads with the Raiders Drum and Bugle Corps (2012-2013) and Fusion “Core” (2015). Kirby aged out with the Madison Scouts Drum and Bugle Corps in 2016 and marched with United Percussion (2014-2017), aging out as battery captain. Kirby has taught and arranged for numerous high schools in New Jersey but is currently the battery coordinator and arranger for Phillipsburg High School and a battery technician at Bridgewater High School. He was battery coordinator/quad technician at East Coast Percussion during the 2018 season. He also is a quad technician at the Hawthorne Caballeros (2017-2018), Raiders Drum and Bugle Corps (2018), and the Rutgers University Drumline. Kirby is ecstatic and humbled to return to United Percussion in this role. Audrey has been a part of United Percussion and our Front Ensemble since her sophomore year of high school. She started in 2009, rejoined in 2011 and continued through to 2016 as a performer. In 2018, she was on the Front Ensemble Staff. Audrey began her percussion training in 2007 with Rancocas Valley Regional High School. Under the direction of David Britton, her school took home the national championship title in USBands group 3 open, in 2010 and 2011. She also marched in the Raiders Drum and Bugle corps in 2011 through 2013. Audrey has worked her way to becoming center marimba in every ensemble she has marched. She volunteers to teach high schools all over the tri-state area as a performance consultant, including the Front Ensembles of J.P. Stevens High School and Westfield High School. Dave Fry is an active designer, arranger, sound engineer, and educator in the Philadelphia area. He first began his music endeavors in elementary school with general percussion as well as private instruction on drum-set. Dave’s marching career started at Norristown Area High School under the instruction of Dave Schopp, Rob Misener, Scott Brown, and Tommy Winder. After High School, Dave went on to march snare drum with the Reading Buccaneers Drum and Bugle Corps in 2001. Dave’s teaching experience began in 2001 with Souderton High School. Dave has been with Perkiomen Valley High School since 2009 where he took over as Percussion Director in 2010, as well as battery arranger, visual designer, and sound engineer. Most recently, Dave created the soundscape for the 2018 Drum Corps Associates Champion, Reading Buccaneers Drum and Bugle Corps. Dave is also a proud member of the Vic Firth Education team. Dave is a Sales Territory Manager for a national fire protection wholesale company. He currently lives in Downingtown, PA where he spends his free time with his wife, Briana and his two Akita rescues Lumen and Rigel. Brian Horn is a percussion educator from Somerset, NJ. His marching percussion career started 15 years ago at Immaculata High School in Somerville, NJ. Brian’s first experience with an Independent group was playing snare drum as a member of the Bushwackers Drum and Bugle Corps (2010). Following his DCA experience, Brian then marched 2 seasons, including his age-out season, at United Percussion (2011, 2012). 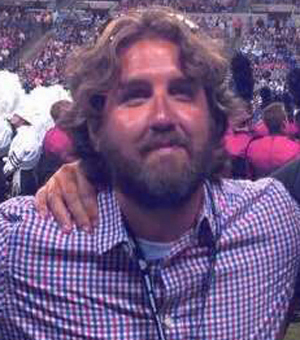 Brian has been the caption head at Westfield High School (USBands) since 2012, and also has WGI teaching experience. Last season, he was the primary snare technician at East Coast Percussion. He is currently a proud staff member of the Hawthorne Caballeros (Snare Technician). Brian couldn’t be more excited to bring his passion and teaching methods back to the home team! Nick Liddie is a highly versatile and passionate musician, composer, and educator. Nick’s rich musical background and emotionally infused drumming renditions have led him to play alongside such acclaimed, path-breaking artists including, Grammy-nominated artist and songwriter, Carolyn Malachi, as well as The Godfather of Neo Soul, Roy Ayers. Nick has performed as a snare drummer with the Sunrisers Drum and Bugle Corps in 2009, Bushwackers Drum and Bugle Corps in 2011, and United Percussion in 2012. He is also the founder of Berklee College of Music’s first drumline, "Berklee Marching Percussion". Nick currently serves as the Percussion Caption Head at Mineola High School in Long Island, NY, and the Snare Technician for the White Sabers Drum and Bugle Corps. In light of the fact that Nick considers himself fortunate to be birthed through a well-supported public arts educational system, his focus is to offer a higher level of music education and instruction to underprivileged communities. Floyd Murray is a musician and educator based out of central New Jersey. He began his marching career with the Bushwackers Drum and Bugle Corps tenor line in 2007, and continued in 2010 and 2011. He then became a member of United Percussion in 2011 and was section leader for the tenor line in 2012. Currently, Floyd is a performer at GEI Entertainment for the NFL Giants Drum Line and a tenor drum instructor at the Hawthorne Caballeros Drum and Bugle Corps. As an educator, Floyd has instructed various high school drumlines around the New Jersey area including Ramsey High School, Woodbridge High School, and Westfield High School. In 2013, Floyd was the quad technician at Jersey Surf Drum and Bugle Corps. Since 2013, Floyd has been a battery instructor at Old Bridge High School for both the marching and indoor ensembles. Most recently, the group was awarded the 2018 WGI World Championships Scholastic Open Class Silver Medal and the WGI Fan Favorite award. Roman Trujillo has been a percussionist for over 15 years. He began his post high school marching career marching bass drum with the SDSU Indoor Drumline in WGI Independent Open (2012). He began his Drum Corps career with Impulse Drum and Bugle Corps out of Southern California on bass drum (2012). His age-out summer was spent with the Crossmen Drum and Bugle Corps in 2013. Roman has taught at several schools in Southern California and and most recently in New Jersey. He teaches at the Hawthorne Caballeros Drum and Bugle Corps and taught at East Coast Percussion during the 2018 season. His SoCal upbringing and his exposure to the East Coast mindset helps him bring both ideologies together in an effort to create the best learning experience possible. Roman is honored to join the United Percussion organization and looks forward to getting started. Ryan is a percussion educator and arranger from New Jersey. His marching career started back in 2012 with Cadets2 Drum and Bugle Corps for their inaugural season and continued through the end of the 2014 season. He then went on to march with Cadets Winter Percussion for the 2014 and 2015 seasons, as well as three years with the 10-Time DCI World Class Champions, The Cadets Drum & Bugle Corps (2015, 2016, 2017). He also spent three years in the Rutgers University Drumline and served as bass drum section leader for his last two years. He has taught multiple high school percussion programs in New Jersey and is currently the Percussion Caption Head & Battery Arranger for Madison High School. Ryan is currently one of the percussion instructors for the Hawthorne Caballeros Drum & Bugle Corps. Shannon is a recent graduate from Rutgers University with a degree in Criminal Justice and Sociology with a minor in Psychology. She started her marching career at Hunterdon Central Regional High School in New Jersey in their Front Ensemble and was also a Drum Major. She first marched cymbals with the Rutgers University Drumline for two years and was section leader her second year. Shannon marched Cadets Winter Percussion for two years in 2015 and 2016 and was section leader in 2016. In the Summer of 2016 she also marched in the Reading Buccaneers Drum and Bugle Corps cymbal line. In recent years she has taught Ramsey High School's Front Ensemble, Old Bridge High School's Cymbal Line and at her high school alma mater and the Rutgers' University Drumline. Justus is a percussionist and music educator from the Lehigh Valley, PA area. His marching percussion career began in high school with the Bangor Area High School Marching Band, serving as the percussion section leader his final year. Since then, Justus has had the opportunity to grow his skills as a percussionist and a performer at multiple performing ensembles, such as The Raiders Drum and Bugle Corps, Carolina Crown Drum and Bugle Corps, and United Percussion. While also taking time to grow as an educator, working with local high schools in the North Jersey/Eastern Pennsylvania area, as well as having the opportunity to be a part of the instructional staff at the Hawthorne Caballeros Drum and Bugle Corps during the summer of 2018. Throughout the course of his playing career, Justus has had the privilege of learning from some fantastic educators, including Ian Hale, Iain Moyer, Dave Osworth, Paul Nalesnik, Steve Ballard, Marcus Neudigate, Jim Ancona and Thom Hannum. He is excited to use these experiences to help lay a strong foundation for the ensemble, in order to provide a good environment and a place for the members to learn the fundamentals, and to grow as players, and performers. Brian began his marching career at Wilson High School in West Lawn, PA. In 2010, Brian began marching with the Reading Buccaneers Drum and Bugle Corps and continued there for 4 years. While there, he spent two years in the cymbal line and two years as an assistant drum major. Brian also got the opportunity to perform with United Percussion in 2013. His teaching experience began with Conrad Weiser High School in 2012 and continued until 2015. He also began working with the indoor percussion ensemble at Governor Mifflin High School in 2014 and continued working with both their marching band and indoor groups until 2017. In addition, Brian has been the cymbal tech for various DCA and WGI groups including Fusion Core, Aftermath Percussion, and East Coast Percussion. Brian also spent the last half of this summer as a battery visual tech for the Hawthorne Caballeros. Outside of the marching activity, Brian is a graduate of Millersville University with a degree in Secondary Education. He is extremely excited to return to the United Percussion family. Heather's marching career began in the summer of 2009 and continues to be a vital part of her life. After flourishing both on the field and the floor for 6 years, Heather began to share her talents through teaching. She has been extremely successful in her teaching career, earning 4 medals and a state and national championship. Heather is currently Color Guard Caption Head for the extremely successful color guard at Pequannock Township High School. Heather also writes for multiple esteemed color guards, using her skills to bring each group to the next level, while providing a positive environment for the members. In addition, she was a dance/visual technician and a visual designer for East Coast Percussion during their successful 2018 season. She is excited to be joining the United Percussion family and is looking forward to an incredible season!